The BO Light is a flexible protective post which provides protection from light crashes with vehicles. The BO Super protective post gives you a fortified version of the BO Impact. This BO Impact with LEDs offers the same benefits as our BO Impact product but with the addition of 5 LED lights that can be controlled by an on/off switch. 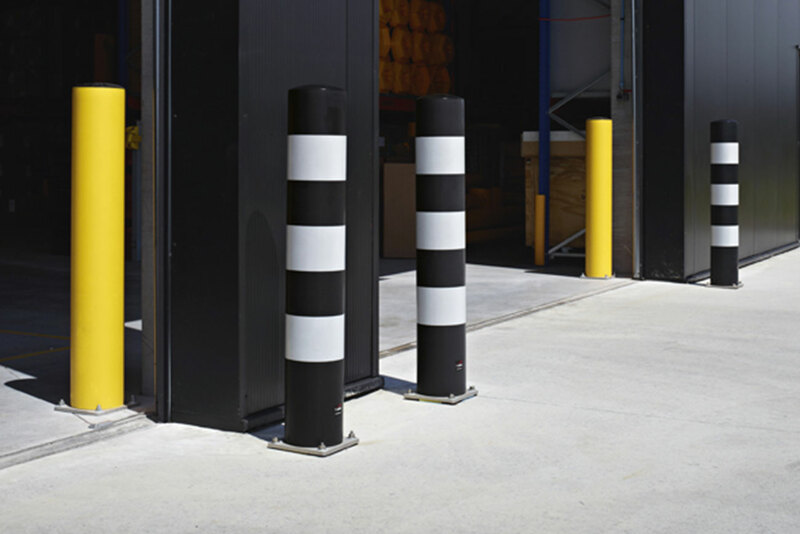 Bollards and Goal Posts by BoPlan provide excellent barriers for your gates and access ways. After all, collisions involving gates and access ways can lead to major, long-term problem situations. Damage or defects in your gates and access ways due to collisions with a pallet truck or forklift can cause a major disruption in the flow of people and goods. Waiting until the damage is repaired can cause serious delays or may even lead to a temporary shutdown in activity, and that is obviously something you’d rather avoid. Boplan’s impact-resistant FLEX IMPACT® range offers various types of protective posts and constructions for simple yet effective protection for your gates and access ways. The synthetic construction of our Bollards and Goal Posts provides the optimum in energy-absorbing capacity. When crashing into a protective post, the material will distort and afterwards return to its original shape. These flexible protective posts have therefore been constructed in such a way that, in the event of a collision, they will prevent damage to your gates, the protective posts and the vehicle causing the crash.